If Fiorious' debut single is a pounding fistful of defiant house, Honey Dijon gives 'I'm Not Defeated' a snapping elasticated rework with her Fiercely Furious Dub. More than just a remix, Honey has recreated a classic Paradise Garage vibe by drafting musicians to re-record the track, with a fresh Fiorious vocal laid on top. A popping bassline takes centre stage with Fiorious' vocals given further hypnotic quality, creating a bubbling dancefloor gem with all the anthemic qualities of the original. 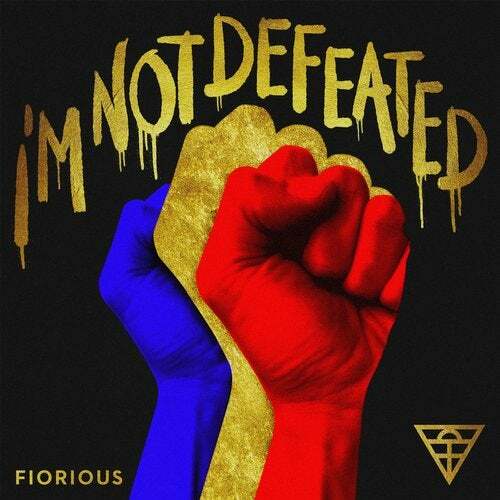 A powerful call-to-resistance club anthem, 'I'm Not Defeated' is the debut Glitterbox single from Fiorious, a celebration of activism, visibility and the history of the LGBTQ+ struggle. Purple Disco Machine, Forrrce, Catz 'n Dogz, Egle Sirvydyte, Yuksek, Bertrand Burgalat, Rockers Revenge, Donnie Calvin, Rene & Angela, Jacqui George, Qwestlife, Hot Toddy, IPG, Amy Douglas, Horse Meat Disco, Dele Sosimi, The Revenge, Fallout, Ilija Rudman, Andre Espeut, Boris Dlugosch, Karen Harding, Aeroplane, Shakedown, Weiss (UK), Hatiras, Mighty Mouse, Bawrut, Lee Curtiss, Desmond 'DSP' Powell, Freeform Five, Moloko, Julien Jabre, Bob Sinclar, Leon (Italy), Dennis Cruz, Fatboy Slim, Tiga, Jason Jinx, Paul Alexander, ATFC, Lisa Millett, The Juan Maclean, Sandy Rivera, Maurice Fulton, HiFi Sean, Dimitri From Paris, Medlar, Kenny Dope, Honey Dijon, Luke Solomon, Ewan Pearson, Mousse T.